Life is made up of each little moment, each experience and each interaction that we have. But these moments can pass us by and go unnoticed if we let them; passing them off as mundane instead of magic. In a culture of bustling busyness, we chase the next moment and end up losing the one that we're in. There's always something to be done, some box to tick and somewhere to be. When you're not in the happiest head-space, your mind can be going ninety filling up with overthinking, anxiety and stress. Getting so caught up in thought means that we can't be totally present, we can't be completely immersed in life, and we miss our magic moments. This wonderful quote came up on my Facebook newsfeed and I thought, wow, how true. 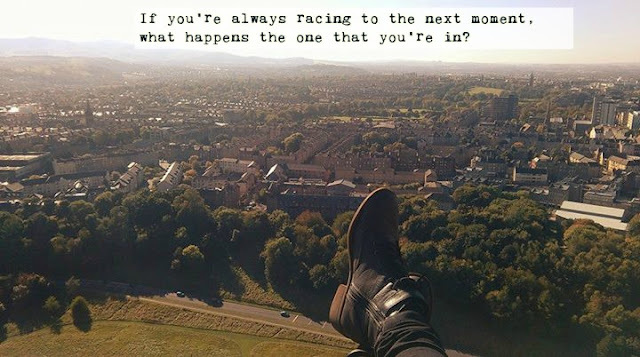 Being a mam of three grown kids, two of whom have struggled with mental health issues, it is very easy to lose yourself. You come to a fork in the road and you're faced with a decision to make - How am I going to cope with this? 1.You can leave them be to sort it out for themselves. Maybe pay the bills along the way but at the end of the day the problem is theirs. 2.You can be there for them lock stock and barrel. 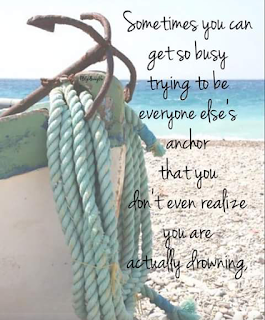 You can be there for them, you can help them through their recovery, BUT you can also take time for you, without having to feel guilty - Without letting yourself drown! In fact, by not recharging your own batteries, you are actually doing a disservice to both yourself and your loved one who is unwell. Dublin's second Lingo Festival took place this weekend and with it came an incredible exposition of talent and expression. When we go out and take part in life, these are the kinds of things we can experience. We can see art, hear the spoken word and be present at an event built on passion and determination. Poetry can be a fantastic method of cathartic communication when we're feeling down, but equally when we're putting words on what we feel strongly about. I love seeing it used to express such a positive take on life. Using creativity is a brilliant way to get out of our heads and into our talents. We all have something to say and finding different ways to do this can be so helpful. Discovering a means of expression that takes a weight off your shoulders is never going to be a waste of time. So, checking out poetry, art and music can help us realise how much we value these and can actually use them ourselves. Do we have any Impact? The world we live in is a pretty expansive place. It’s jam-packed with millions of people; all different, all unique, all contributing to the total sum that creates our diverse, wonderful world. From my own personal experience, this world used to feel both intimidating and uncomfortably huge. It was full of people who were better than me, successful people, beautiful people, people who were making something of themselves while I was getting nowhere. It used to be a place I was afraid to be a part of. A place that I tried to hide away from and avoid. I was certain that my presence went unnoticed, that I had nothing to give and that the world didn’t benefit from me at all.